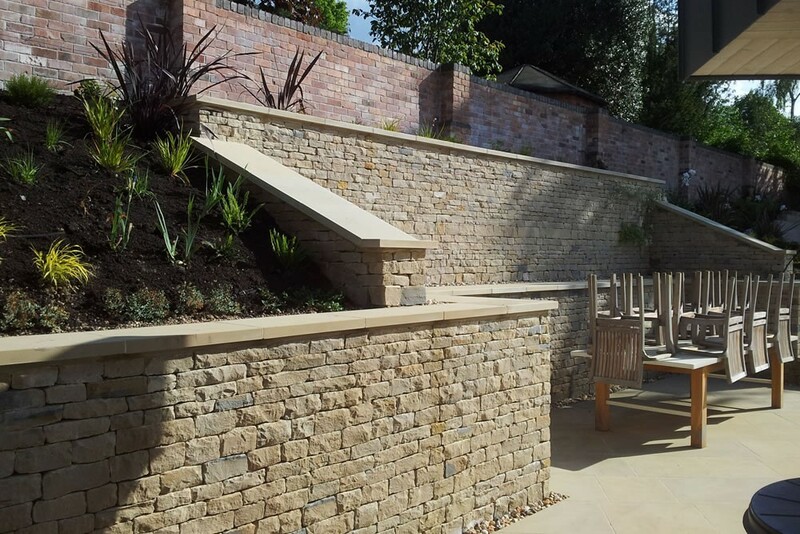 As part of a major transformation of an existing property, the whole of this garden needed a full re-development. 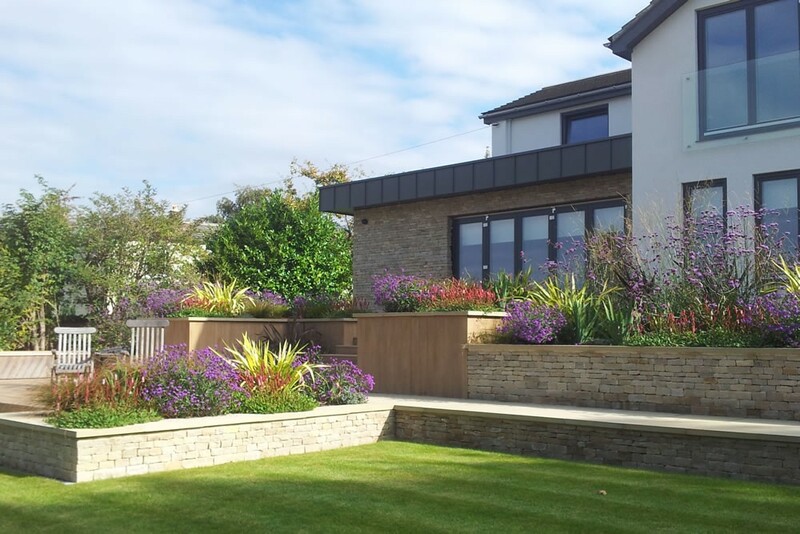 Outdoor Living Space worked from plans with the overall structure of the garden, that was dictated to some degree by big changes in level, but the project was every evolving with changes made as the construction progressed. 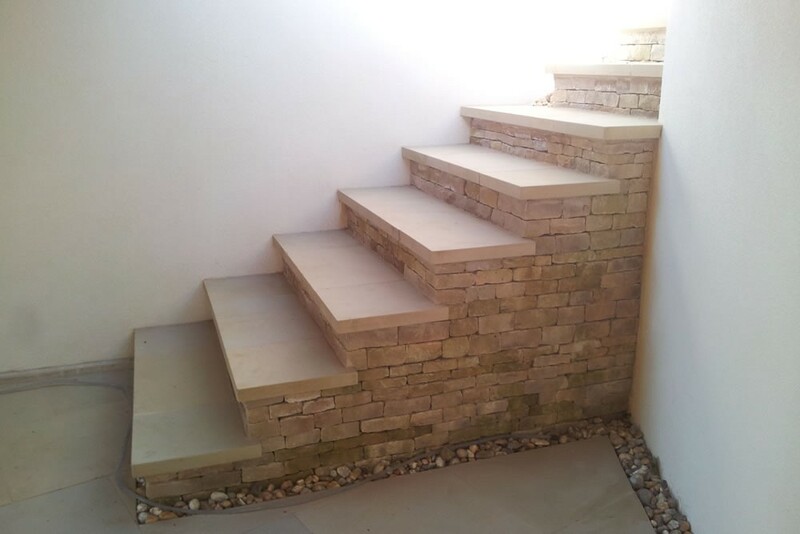 One priority was to get the most useable space despite the slopes, so concrete, stone, brickwork, hardwood sleepers and gabions were all used to achieve this. 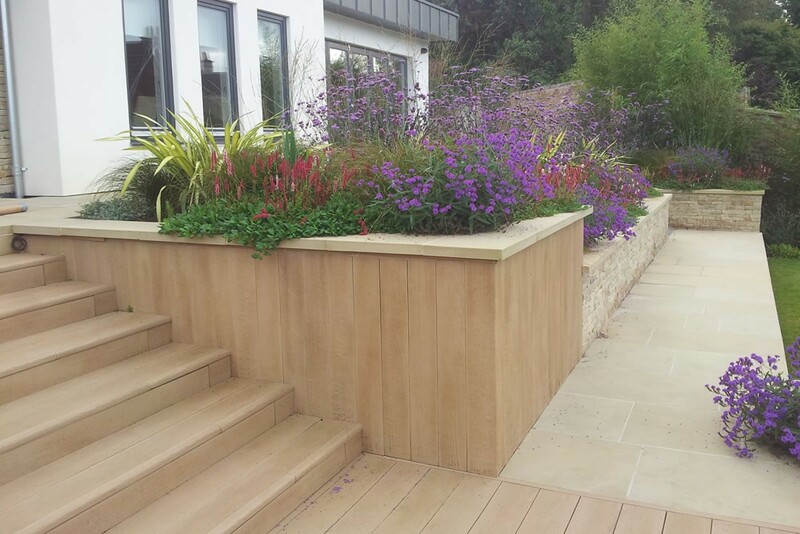 Planting was done on the steeper areas, and structured raised beds, with an emphasis on ensuring that whatever the season it would have a strong impact and soften the hard landscaping. 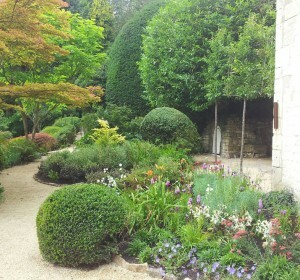 The old driveways were all changed, extended and re-surfaced, and a new stone entrance with automated gates installed. 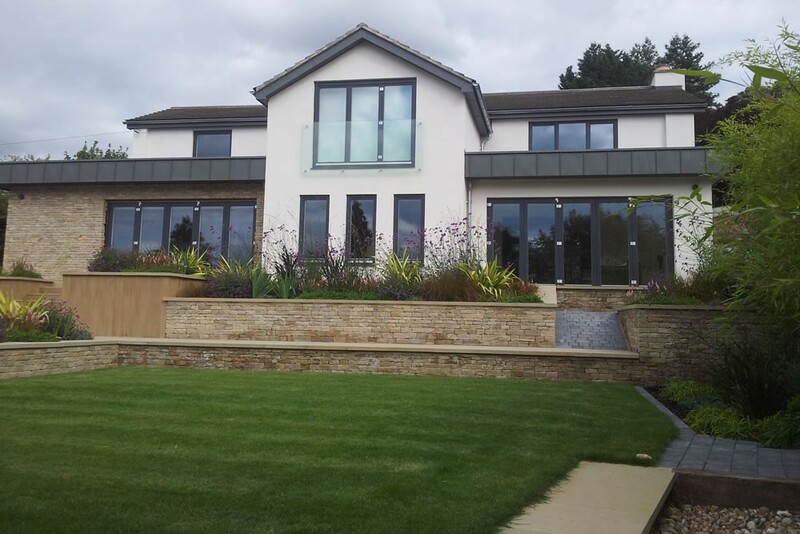 A stunning lighting scheme completes the transformation. 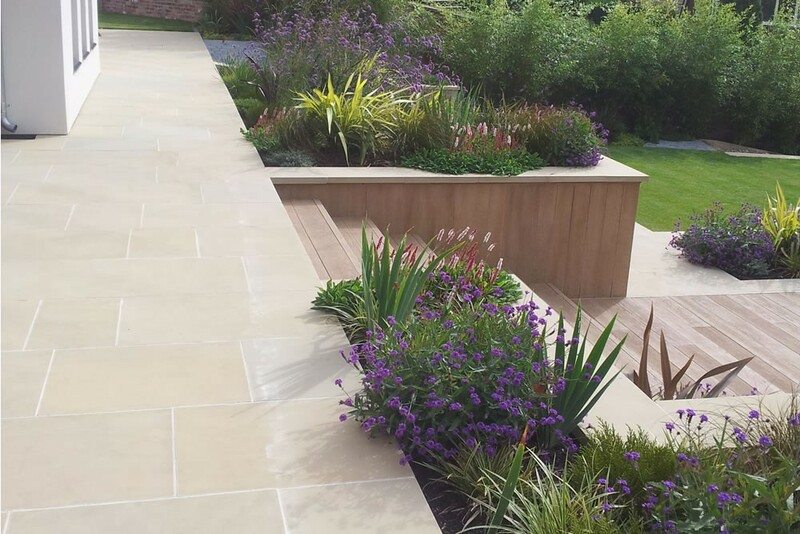 The major elements of this garden are the sawn sandstone paving and contemporary Cotswold stone walling we installed on both the garden and house walls. 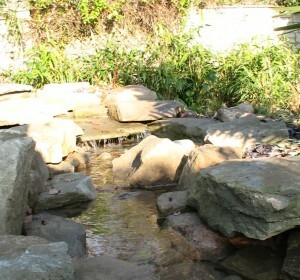 We also rebuilt some brick boundary walls with reclaimed local bricks. 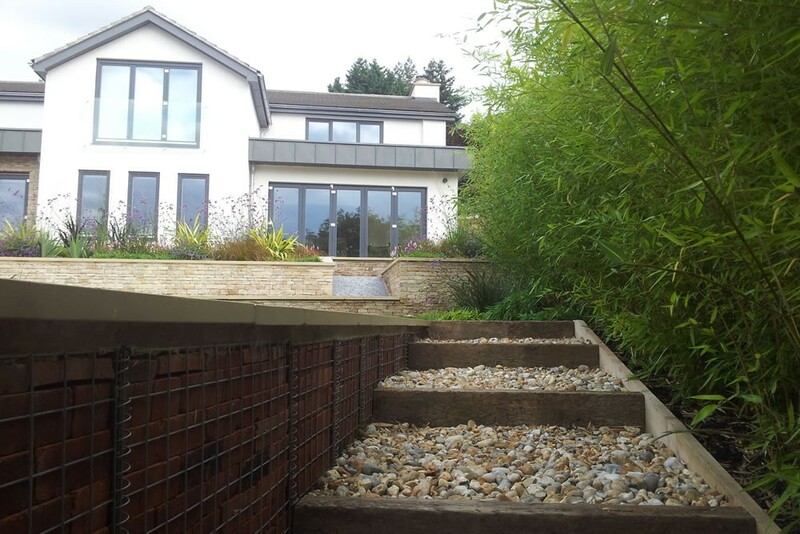 The lower part of the main garden had already been raised up leaving a poor ground structure from which to build, so this was overcome by the use of brick filled gabions, which also allowed us to recycle rubble and concrete from on site. 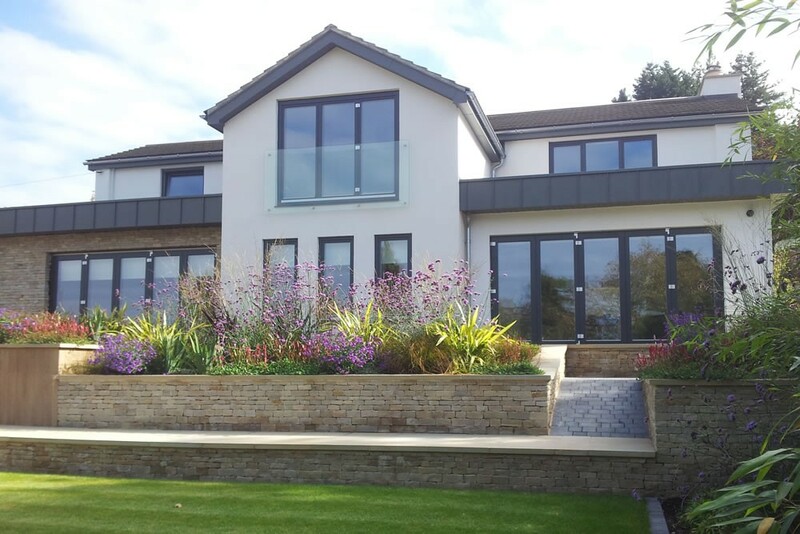 Black granite style blocks, were used in paths, and drive edgings and contrast the lighter paving and stone, complementing the zinc roofing. 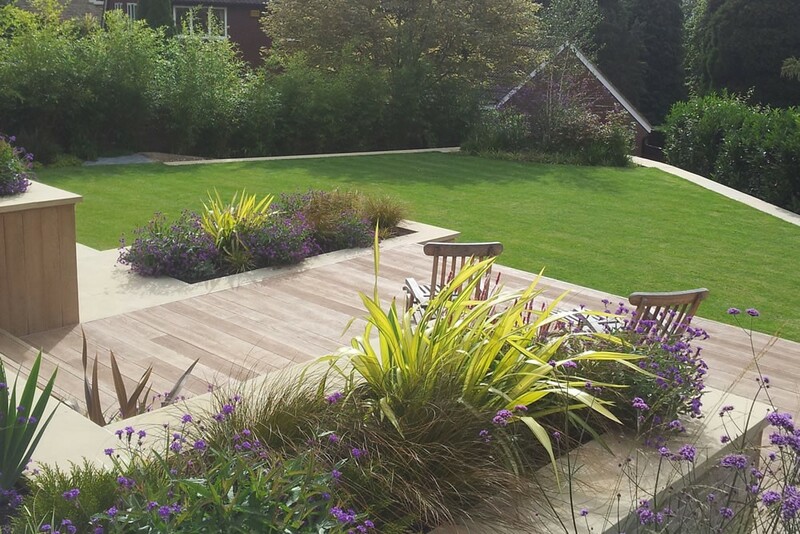 A composite timber effect deck is a good maintenance free entertaining area. Yellow stemmed bamboo screens a neighbouring property. 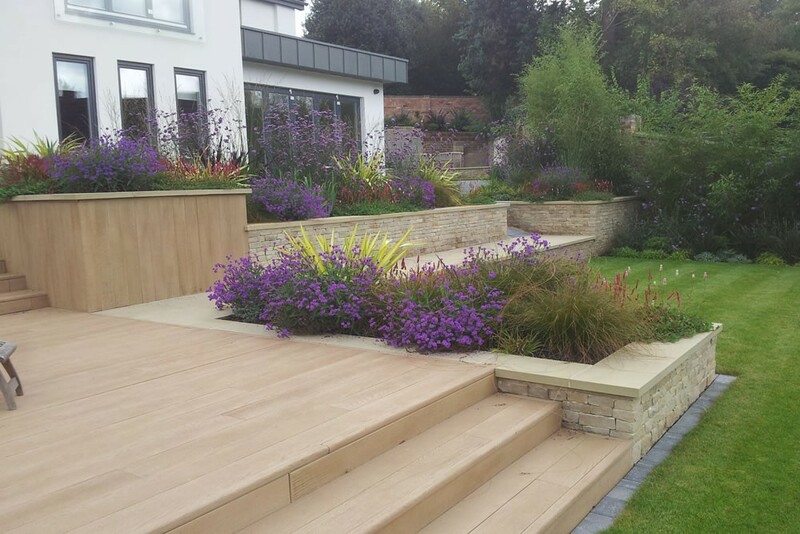 Phormiums, hebes and grasses all contribute to a strong evergreen structure, with verbena, persicaria, irises and alliums all add seasonal interest. Along a shared, shaded driveway, evergreen shrubs including leucothoe and euonymus are interplanted with foxgloves, ferns and hostas.